Making awesome video content is just the first hurdle to overcome. Getting people to watch them is the next, and much bigger, obstacle in your path. Just as a blogger must work hard to get people to read their blog, so a YouTuber needs to find ways to get views on their videos. For any piece of content on the internet, discoverability is key to exposure. After all, nobody will watch you video or read your blog if they can't find it, right? A blogger would do this by lacing their content with SEO - search engine optimization. But how can a YouTuber do the same? The answer lies in something known as the YouTube tags optimization. In this article, we will let you know how to optimize YouTube tags easily for more views, and some tips on title and description. YouTube tags are used when you upload video YouTube. You need to specify the type of your video. In other words, you need to describe your video with keywords. But you might think why you need to add these words. YouTube can't figure out what my videos are about? Unfortunatly, YouTube can't though its algorithm is much more advanced than before. You must know the competition between videos is furious since 500 hours video per minute are uploaded in YouTube. In this case, it is important to let YouTube algorithm know your video by adding related tags to have a higher ranking. So the better tags we choose, the higher chance to rank in top 1, which means you will get more views! Using YouTube meta tags wisely can broaden your reach and help new people discover your content. However, don't be tempted to insert irrelevant tags just because you know they are high traffic. You will be found out and penalized as a result. Just as you did with your description, research your keywords, place the most important ones first and use as many as you can. Specific – The specific tag types are keywords oriented. These keywords specifically pertain to the content of your video. In this tag type, the particular video is highlighted with the keyword tags. Often while typing the keywords in your mind, the YouTube suggests phrases and keywords according to the content of your video. You may apply the suggestions and also add more general or common versions of the same keywords. Compound – The compound tags are usually using more thans two words. Many a time it is seen that users prefer tagging the complete title of the video. If you are using your video title as the compound tag, ensure that you do not include the prepositions like or, as, and, etc. This is because the YouTube allows just 500 characters in the title and ignore the prepositions. It is always advised to use all the 500 characters YouTube has allowed without wasting the characters on prepositions as it will automatically be ignored. Generic – The generic tags are the ones that describe the entire video in one or two words. These tags are used in all the video of yours. These tags are used across your channel for all the videos you post. It is important to have such general constant tags. The more relevant tags you add, the better it is. The best part is YouTube doesn’t restrict the number of tags but adding all is not possible and adding something irrelevant doesn’t make sense. 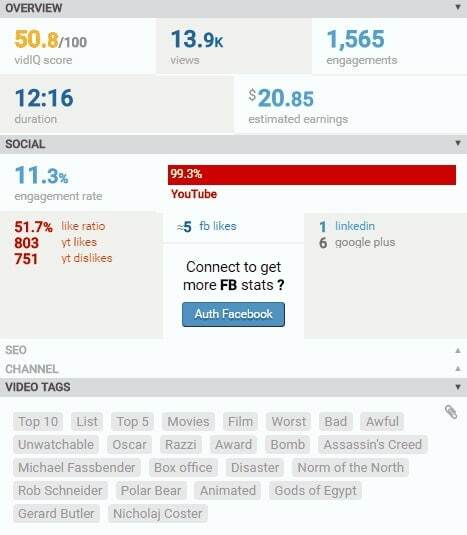 So, your YouTube video tags must be the smart ones for more views. Educated tagging is what is required. 1. Brand-Specific Tags Addition - Every business want their brand name to show up in the search results in YouTube and Google. Self-referencing your video or tagging your brand name in a number of variations is a smart way of letting others know your brand. 2. Using YouTube Auto Suggest – Play with the search option in YouTube and check out the YouTube suggestions when you search. Try to recognize the common videos that pop up while searching for something important and relevant to yours. Try searching for random keywords according to your YouTube search experience. 3. Use the YouTube Keyword Search Tool – Lastly, you may use the YouTube keyword suggestion tool. It helps you to extract the relevant keywords from the videos of your competitors and create suggestions according to the basic term provided by you. 4. Use Specific Tags - After using tools, you need to narrow down your tags specifically, like tags "learn 3D paper cutting". The search volum may not be huge, but these kind of tags can let YouTube know your video vey well. Give it a try! 5. Check competitor's Tags - When you check tags from other brands, it is not suggested to copy them all. What you need to do is find what you are missing and try to cover that area. However, only third part tools can help you do that. In the market, VidIQ is highly used. It has a free version. Most of all data including tags can be found for higher views. Here you can learn some tips when optimizing tags. You can use singular and plural tags both. Sometimes remember to add some misspelling tags because users tend to mistype some words, so it's better to cover this kind of tags. You can get more information on misspelled words. More tips are listed below. Step 1. The first thing you need to do is to sign into your YouTube account. Step 2. Then click the Upload button that’s found on the top right corner of the window. Step 3. Then select the video that you want to upload. You will be asked to add a title, description, and tags. Step 4. After uploading, you can still edit the YouTube title, description, and tags. There are times when you want to change the title, description or a tag of an already published video. The good news is that YouTube allows you to reedit them whenever you want to. Step 2. Left click the account name found at the top right-hand corner of the screen. Then you will have a dropdown menu. Select Video Manager to show a list of your uploaded videos. Step 3. Click the Edit button that’s found right next to the video that you want to modify. In the Video Information, you can now change the title, description or any of the tags. Click on the Save Changes button when you are done. YouTube titles play a big part in the ranking factors for search. That means you've got to think about what the people most likely to want to see your video will type into the search bar, as well as the words that accurately describe your video. For example, if you have a clip of your cat Fluffy climbing a tree, calling your video 'Fluffy climbs a tree' is not the best idea. Nobody knows who Fluffy is; it could be your rabbit, dog, daughter or feather duster for all the YouTube community knows, and nobody is going to be searching for it. A better title would be 'cat climbs a tree', but you could even improve on that. How about 'funny cat climbs a tree', which would capture all those people looking for funny cat videos. Or, even better, 'funny Persian cat climbs a tree', also capturing those people who adore Persian cats. You can see how building awesome YouTube titles can happen organically like this, but it's also worth doing your homework too. We have collected a handful of YouTube Keyword tools for you to improve your YouTube meta, so check out the suggestions and work forwards from there. Your description is a much longer piece of YouTube meta, so you can really go to town with your YouTube keywords here. You've got up to 5,000 characters to fill in, and we strongly advise that you aim to use every single one. This really is a golden opportunity, not only to get people motivated to watch all of your video, but also to be indexed correctly through well researched YouTube keywords. You may have noticed that, on the search page itself, only a small part of the description actually shows up; 120 characters of it to be precise. This doesn't affect indexing, but it does mean you have to plan your YouTube description carefully to really hook people into clicking through from just the first sentence or two. Irrelevant keywords will not do you any favors in the long run. Using a popular search term such as 'funny cat' when actually it's a video of you unboxing your product will simply irritate your viewers. You'll get more views, but for shorter durations, and that will hurt not only your ranking but also your reputation. The people you want to draw in with your YouTube meta should be those who are genuinely interested in your videos, as these are the people who will share, comment and interact with you. YouTube have given you a place to put your tags, and that's not in the description area of your meta. Placing tags in the description area is known as tag stuffing and can lead to videos being removed or penalized. YouTube meta is not a static thing. Trends change, search statistics fluctuate, and the needs of your viewers alters as time goes on. For this reason, you should look to update your meta from time to time, at least once every six months or so. Re-research your keywords and optimize for today's trending search terms. Take some time to perfect your meta on YouTube and see how many more views it helps you get. Let us know if you have any other tips for developing powerful metadata, and how optimizing your meta has worked for you!